We manufacture wide range of Diamond Pins & Angle Pins used in the making of carbide dies. 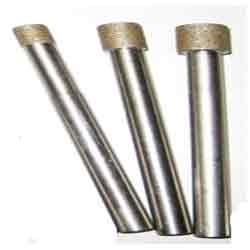 These pins are made of high specific gravity metallic substances been procured from trusted vendors. The vendors are working with us over a very long period of time. We believe in effective and timely dependent delivery of product once ordered by our customers. In the manufacture we are also focusing on some of the specific safety points. Looking for Diamond Pins & Angle Pins ?